The Bir Lahlou block is situated in the north-east corner of the Territory of Western Sahara (see map here: http://www.sadrpma.com/licence_offering.php, in the area controlled by the Frente POLISARIO, which leads the Government of the SADR. The block overlies part of the Paleozoic Tindouf Basin, which extends eastwards into Algeria and east and south into Mauritania. The Basin sits over the top of a stratigraphic section of rocks ranging in age from Cambrian to Carboniferous, which is analogous to other sub-Atlas basins to the north-east, and which produce large amounts of gas and oil in Algeria. This entry was posted in Political issues on March 20, 2014 by appleton. AWSA today condemned Incitec Pivot for their latest import of phosphate rock, due on Sunday from Western Sahara, saying Pivot should stop the trade with Morocco in what is essentially stolen property, as other Australian fertiliser companies (CSBP/Wesfarmers and Impact) have done. This entry was posted in Phosphate importation, Political issues on March 14, 2014 by appleton. 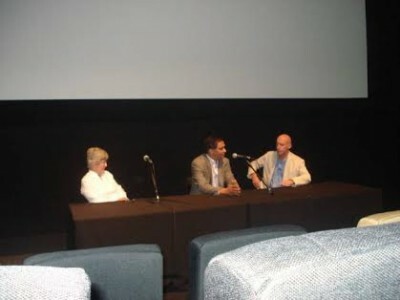 In collaboration between Filmoteca and the Australia Western Sahara Association (AWSA), The Sons of the Clouds documentary was screened to a large crowd at the Australian Centre for the Moving Image (ACMI) in Melbourne. This entry was posted in General, Political issues on March 10, 2014 by appleton. This entry was posted in General, Political issues on March 8, 2014 by appleton. This entry was posted in Political issues on March 7, 2014 by appleton. Flag of the Saharawi Republic (SADR) was raised at top of many buildings in many Australian cities to mark the 38th anniversary of the proclamation of SADR, informed Polisario Front’s office there. In this regard, the Saharawi flag was raised on Balmain Town Hall (New South Wales), Fremantle Town Hall (Western Australia), Moreland City Council (Victoria), Yarra City Council (Victoria), Ballarat Trades Hall (Victoria), Geelong Trades Hall (Victoria) and Victorian Australian Workers Union (Melbourne office). The move is a gesture of solidarity and support with the Saharawi people and their just cause. This entry was posted in Political issues on March 1, 2014 by appleton. Hollande called the king, who is currently touring West Africa, to reassure him of France’s “constant friendship,” “dispel the misunderstandings” and underline his desire to strengthen ties, the president’s office said Tuesday.